With Perch, it seems that you can use an old Android smartphone with a camera as a webcam, which seems like a great idea to reuse old devices that you no longer want. However, in normal usage, phones tend to use a lot of energy in my experience (some phones barely last a day on battery in normal usage! ), and the camera seems to use even more than usual, so I'm concerned that there may be a lot of power consumption. 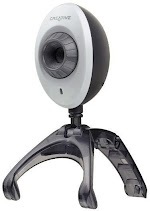 If I reused a Samsung Galaxy S3 with Perch, is it likely to cost more than just buying a webcam and connecting it to my network, or is the difference negligible? In regards to what I'm comparing, I'm interested in whether (cost of webcam + electricity) would be cheaper than (cost of electricity for phone). If the webcam only pays for itself after 5 or 10 years, I'm not too concerned and won't bother buying it, but if I'm going to see savings after 6 months it might be more valuable. As far as I can tell, Perch just runs the camera 24/7 and communicates via Wi-Fi, but I've turned Bluetooth and mobile data off, along with GPS, since I don't need them. As requested by Mawg, an example of the sort of thing the D-Link DCS-932L, which says the maximum power consumption is 2W on the datasheet. There isn't any information on the typical power consumption, however, so an answer with some explanation on what might typically be expected could be helpful. I'm not particularly interested in any additional features such as low-light vision, although it would be a bonus. Motion detection would be useful though, since Perch does seem to support this by default and it would be advantageous. Notifications of motion would be good as well. The camera will be situated inside, so I wouldn't expect any temperature extremes or dampness (otherwise I have a much bigger problem!). When charging, I would be using a standard 5W USB charger for the phone, which would be connected all the time. If your 5W charger can handle the demands, it will use three watts more than the spec of 2W for the cam you linked to. Every two weeks, those three extra watts will use one kilowatt-hour, which I'll guess costs you fifteen cents, or about four (US) dollars annually. A bit of Google-fu found the D-Link DCS-932L delivered for US$ 37. Crunch the numbers, and you are looking at more than nine years before you break even. One consideration you didn't mention was how the phone (cam) will be mounted and aimed. A nicely framed and usable camera angle can be tricky to get without the right equipment. If you're interested in a solution for almost no money, ask, and I'll describe how. Are you really only asking which will draws more current? In either case, the cost will be negligible. I would have made this a comment, but it grew too long. What, exactly, are your requirements for a webcam? It is just for Skype & the like, or for security? Must it operate in low light? You Android might not be up to that. If you are usign it for security, what sort of environment will it operate in? Heat, cold, rain, all recommend at least an IP67 housing. That will add cost to an Android solution. Have you defined your requirements completely? Can you post them here? You can ask us on https://softwarerecs.stackexchange.com/ for an approriate app to control your Android. Off the top of my head - do you need motion detection? Time lapse? Upload to a remote site? Inform you of movement? Without knowing your use case, I can't offer much more help. If you add more detail to your question, you will get much better help. If you do go with your Android, don't forget to turn off GPS. Not the answer you're looking for? Browse other questions tagged power-consumption digital-cameras microprocessors or ask your own question. Do Internet-connected lighting systems save energy overall? What is the power implication of encrypting my sensor traffic? Will replacing the firmware secure my Foscam IP camera? Retrieve raw data from Smart Plug?